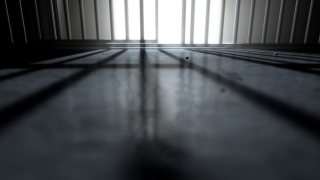 Authorities said they don't suspect foul play after a woman died at the Fairfax County, Virginia, jail. Fairfax County police said in a statement 49-year-old Anna Carmela Dinenna, of Silver Spring, Maryland, was found unresponsive in jail Sunday. Dinenna had been in the jail since April 12. Sheriff's deputies started CPR and called first-responders, who pronounced her dead, police said. She was alone in her cell and showed no signs of trauma, they said. Medical examiners will conduct an autopsy to determine the cause of death.